Our parenting curriculum is provided by Heritage House and is of the highest quality. 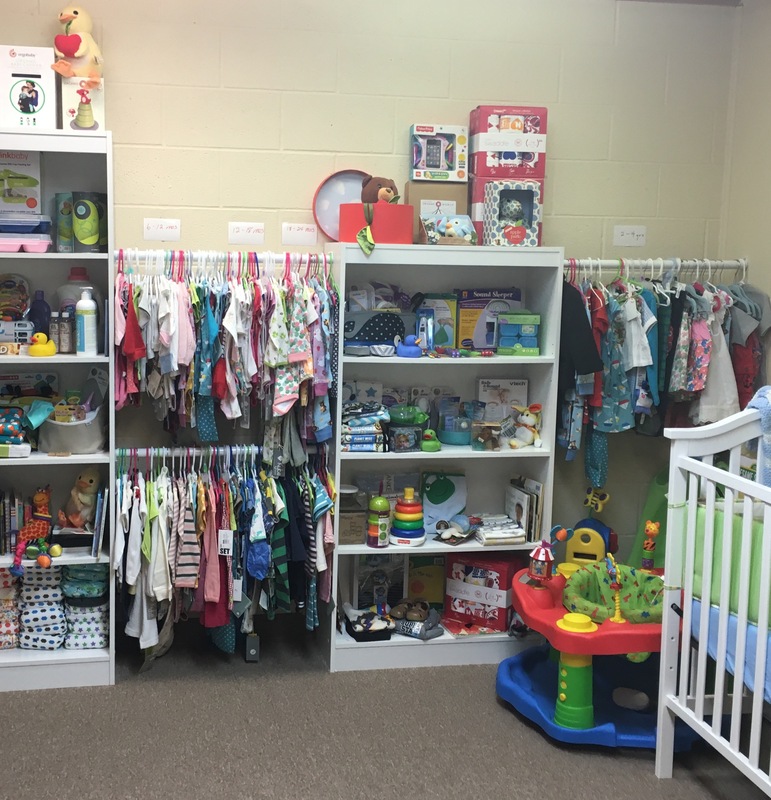 A key feature of the Earn While You Learn program is the ability to “purchase” clothing and baby items with the MOM Money earned from attending classes. The lessons are informative, interesting and practical. The program offers informational videos viewed as a class in addition to dialogue and discussion with your volunteer instructor, as well as homework sheets for additional reinforcement. We can help you earn rewards as you learn how to be the best parent possible. Earn While You Learn modules are the core of our curriculum. They cover subjects such as pregnancy, birth preparation, drug use, baby care, first aid, life skills, discipline, nutrition and more. EWYL’s goal is implementing positive habit changes which will alter negative behaviors and change lives. EWYL meets both the educational and relational needs of young women. EWYL beautifully describes the program as one which was designed to change the paradigms for a generation who has grown up on handouts. Instead of giving away items, EWYL allows the client to earn the items while learning how to be a more effective parent. When a client completes a lesson, they earn “MOM Money”. They are then able to shop in our MOM Store for desired items. The items are generally donated and are things such as diapers, clothing, cribs, car seats and strollers. Clients are encouraged to bring their husbands or boyfriends with them to EWYL classes. The fathers can also earn MOM Money. There are over 400 modules available. The main curriculum pack takes approximately one year to complete. There are five additional curriculum packs, as well as two packs for fathers. A large portion of the courses are in Spanish. We are excited to become a part of the Earn While You Learn Program, and the positive influence it brings in breaking the cycle of dysfunctional parenting, abuse and neglect.